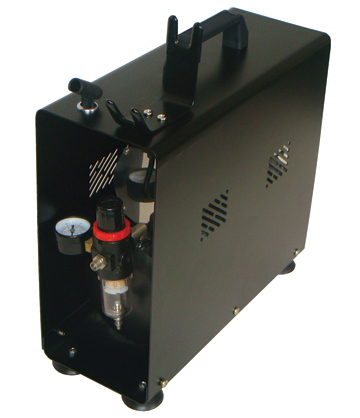 Paasche airbrush compressor consists of pressure regulator & gauge, water release valve, handle, air outlet, airbrush holder. It has 2 airbrush holders. Paasche DC600R also has a double switch. At Switch 1 there is an auto stop at 67 PSI. But at Switch 2 the max pressure is 87 PSI. Furthermore, at Switch 2 auto shutoff is disabled. Piston compressor with auto shutoff. And it's also oil free. 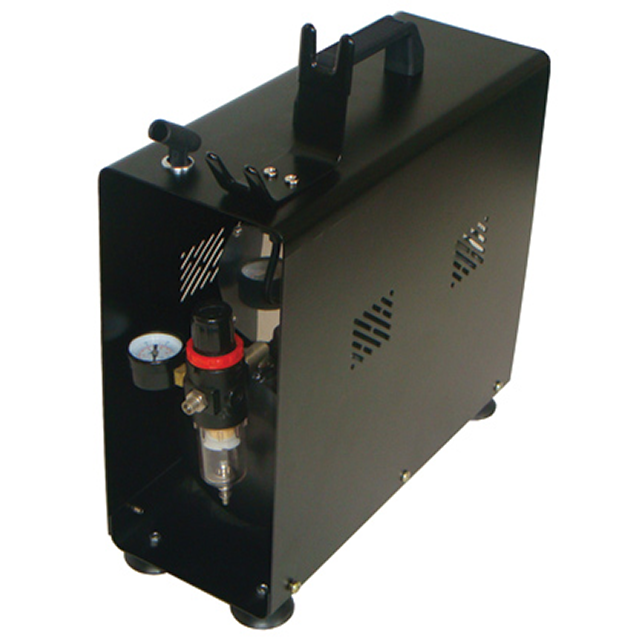 When airbrush is not in use, Paasche DC600R Air Compressor shuts off by itself. 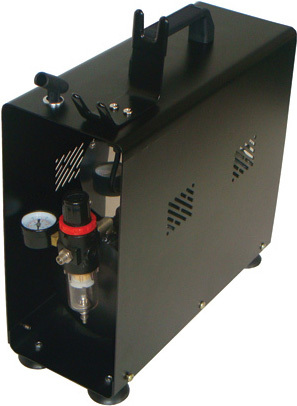 Operating pressure is 20 to 35 PSI depending on airbrush being used. Compressor starts without line pressure thank for auto release pressure valve. So, it helps to prolong motor's life. 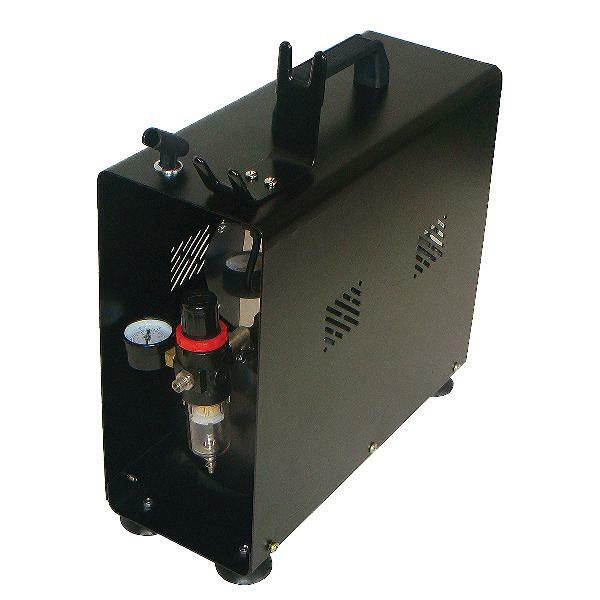 Store Paasche DC600R air compressor in a dry & well ventilated place. Never use it with wet hands or feet or with bare feet. Keep kids away from compressors. Follow safety & electrical rules. Check the electric plug. It should be grounded. Use the vacuum pump in acceptable conditions. Work only in well-ventilated places. The temperature also should be +41F to +104F. You can also download full Paasche DC600R manual underneath.